Two of the most anticipated smartphones of the year are the Apple iPhone 5S and the Motorola Moto X. There are many people waiting for these devices to become official and although no specs or release dates have been confirmed yet, the excitement is ramping up. 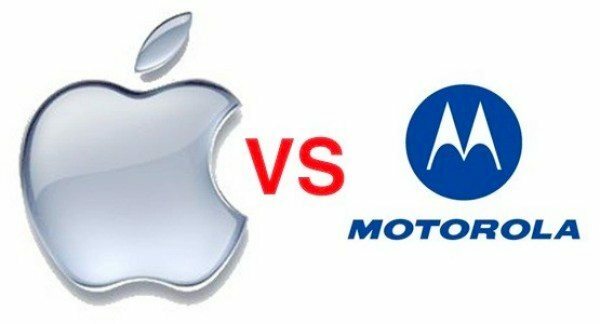 They could launch closely together and it seems that in the battle of the iPhone 5S vs. Moto X, Google is to bring out the big bucks. The Moto X Android phone is expected to launch at any time now, while it’s widely expected that the iPhone 5S will release in September. Of course, none of this is official and it could well be the case that both of these devices make an appearance at the same time. For those people who know if they want a new smartphone on either the iOS or Android platform, a decision between these two will be pretty straightforward. However, both Motorola and Apple will be hoping to tempt consumers who are open to either of these operating systems. That’s where a new report makes interesting reading. Apparently Google has big plans for the Motorola Moto X phone and is set to take on Apple with all guns blazing. Google has budgeted to spend an enormous amount of half a billion dollars, or possibly even more, on Moto X marketing. That amount of money to promote one phone sounds almost crazy, especially when considering that it equates to half of the advertising budget that rival Apple spent for the last fiscal year on ALL of its devices. Google obviously has big plans for Motorola since it acquired the company, and although there’s a lot of interest in the Moto X it’s a lot to ask to expect it to compete with the tens of millions of sales expected for the iPhone 5S. Therefore Google obviously recognizes that a huge marketing campaign is critical to the success of the Moto X, but half a billion dollars for advertising still sounds a vast amount to spend on one device. Of course the next iPhone is just one of the upcoming smartphones that the Moto X will need to contend with. For instance the Samsung Galaxy Note 3 is also expected to release in fall, although yesterday we told how a current poll shows the level of excitement for the Moto X apparently tops that of the Galaxy Note 3. There are also plenty of other phones on the way, so it remains to be seen if Google’s huge spending plans for promoting the Moto X are wise, or rather reckless. To wrap things up we’ll give you just a few of the rumored specs for each of these devices, although as we noted previously, nothing has been confirmed yet for either. The iPhone 5S is expected to have an upgraded processor, improved camera set —up that could include a 13-megapixel rear camera and dual LED flash, a fingerprint sensor, and run iOS 7, and recently we heard of the possibility of a slow-motion video feature. On the other hand rumored and leaked specs for the Moto X include a 1.7GHz Snapdragon S4 Pro dual-core processor, 4.7-inch display with 720p resolution, 2GB of RAM, and 16GB of internal storage. Other possibilities are a 10-megapixel rear camera, and a 2-megapixel front-facing camera, and it’s expected to launch running Android 4.2.2 Jelly Bean, although we cannot rule out Android 4.3. We will be avidly following developments for both of these phones and will relay that information to our readers as we hear it. We’re interested to hear what you think about the iPhone 5S vs. Moto X? Do you favor iOS or Android all the way? What are your thoughts on the reported half a billion dollar budget for promoting the Moto X? Let us know with your comments. Google owns Android. Google Bought Motorola. Motorola is FAR FROM DEAD. This IS THE -GOOGLE PHONE-. For those who wish to links up their device’s OS, have almost confirm their decision. But Google had Motorola for quite a while, and the reason for them to spend such a substantial amount on their advertisement is perhaps there should be more android devices coming out from Motorola. But my guess is anyones game, the new users or the older generation people might want an easier OS device.